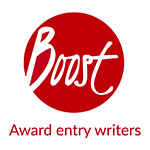 This is the privacy notice of Boost Marketing Ltd In this document, “Boost”, “we”, “our”, or “us” refer to Boost Marketing Ltd or our subsidiaries Boost Awards and Boost Evaluation and our Award List websites. We are company number 05799925 registered in the United Kingdom. VAT no: GB883 9547 62. Our registered office is at Platf9rm, Floor 5 & 6, Tower Point, 44 North Road, Brighton, East Sussex BN1 1YR. When you create an awards planner account on our website, buy a service from us, sign up to our email deadline reminder service or otherwise agree to our terms and conditions, a contract is formed between you and us. Through certain actions when otherwise there is no contractual relationship between us, such as when you browse our website or ask us to provide you more information about our business, including job opportunities and our marketing and evaluation services, you provide your consent to us to process information that may be personal information. Except where you have consented to our use of your information for a specific purpose, we do not use your information in any way that would identify you personally. We may aggregate it in a general way and use it to provide class information, for example to monitor the performance of a particular page on our website for example through the use of Google Analytics. We never pass on your personal identifiable information to third parties. You may withdraw your consent at any time by instructing us via support@boost-awards.co.uk. However, if you do so, you may not be able to use our website or our services further. Post: Platf9rm, Floor 5 & 6, Tower Point, 44 North Road, Brighton, East Sussex, BN1 1YR. In order to provide this service, we are required to store your data. This is stored in a secure CRM and is reviewed on a regular basis, the data we collect is never shared with any third party. We keep personally identifiable information associated with your message, such as your name, company or organisation and email address so as to be able to track our communications with you and to provide a high-quality service. Our Award List and Boost websites display a database of over 3,500 UK and International Business Awards. We maintain the list on a daily basis and try to be as accurate as possible with dates, categories and the external websites that we link to. However given the amount of information and the inherent changing nature of this data, it is impossible to guarantee 100% accuracy at all times and thus should be treated only as a signpost to external websites. We accept no responsibility for resultant actions based on the information we have displayed and always recommend you visit the specific external award websites for the latest and most accurate information. Similarly, we accept no responsibility for the content of external websites that we link to, especially if these websites have been compromised by malicious malware or are detrimental in any way once visited. Any complaints raised about any of the content on our website shall be investigated thoroughly and we will take any action we deem necessary. If we feel it is justified or if we believe the law requires us to do so, we shall remove the content while we investigate or cease to link to an external website that is the basis of the complaint. This site offers a free award deadline reminder email subscription service and cookies may be used to remember if you are already registered and whether to show certain notifications which might only be valid to subscribed/unsubscribed users. However if you are still looking for more information then you can contact us through one of our preferred contact methods below or via our website. Although we do not disclose your personal information to any third party we sometimes receive data that is indirectly made up from your personal information from third parties whose services we use. This may be in the form of renting B2B marketing data from suppliers. We will happy to inform you of where we obtained this data should you require this information. Third parties may advertise on our Awards List and Boost websites. This is primarily in the form of website banners advertising specific external award schemes or paid for content such as blog articles. In doing so, those parties, their agents or other companies working for them may use technology that automatically collects information about you when their advertisement is displayed on our website or clicked upon to visit their website. To obtain a copy of any personally identifiable information that we hold about you please send us a request via support@boost-awards.co.uk. We do not provide services for children, nor do we market to children. Such child users and visitors will inevitably visit parts of the website and will be subject to whatever on-site marketing they find. 18.1 Standard fonts are used throughout the site for easy legibility. 18.2 Wherever possible, we use live text instead of graphics to reduce the download time of pages and increase your control. 18.3 No information is exclusively conveyed using colour. This does not mean that colours are not used to organise information, instead it means there are also other, non-colour dependent ways of doing so. 18.4 The majority of our pages are designed so that they are without horizontal scrollbars when they are viewed at a screen resolution of 800 x 600 pixels. 18.5 All images, where appropriate, have an alternative text attribute. This means that when an image is conveying important information its content is described with an alternative text. If an image is used for decorative purposes only, the text attribute for the image will be left blank. 18.6 Where individual features make use of functions that do not comply with the W3C Web Content Accessibility Guidelines we have made sure that there are alternative routes provided to the information. 18.7 A link to details of how to contact us for further information offline is provided from every page. 18.8 Where a process takes multiple steps to complete (for example, forms) an indication of where you are in the process and how far you have to go is provided. We are committed to a process of on-going improvement and are working to ensure all older content is made compliant with the provisions of the Disability Discrimination Act and that all new content is developed under the guidelines outlined above. If you have difficulty accessing the site or have any comments or feedback on how we can improve your online experience, please do not hesitate to contact us.